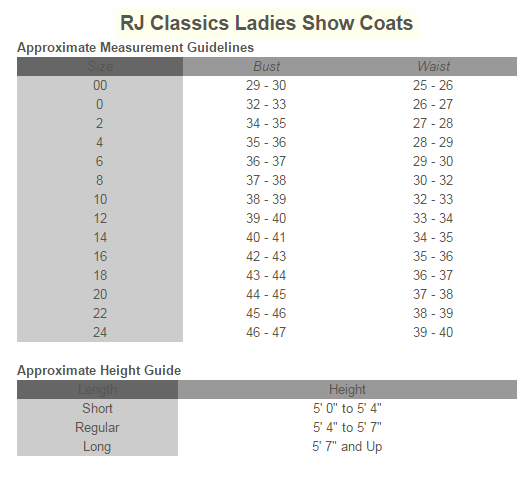 The Rj Classics Monterrey solid colour 3 button show coat in softshell fabric will give you that traditional style, but with updated features that will make you look like you are at the top of your game. Part of our XTREME Orange Label collection, this garment is traditionally styled with two front pockets and a double vented back. The unconstructed design showcases a hidden interior zipper (which eliminates any gapping,) with shorter length will give you the amazing lightweight feel but you will never compromise a perfect fit. Our logo shank buttons and embroidered logo on the back of the collar add the perfect finishing touches. This fabric has some incredible features which include: Ultimate stretch for maximum freedom of movement. 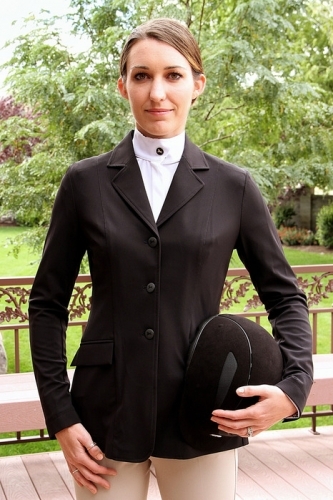 Moisture control/wicking properties which is ideal for the summer show season. Machine washable for easy care. Wrinkle free for seamless travel. UV protector (equivalent to SPF 50 sunscreen.) Eco- friendly.